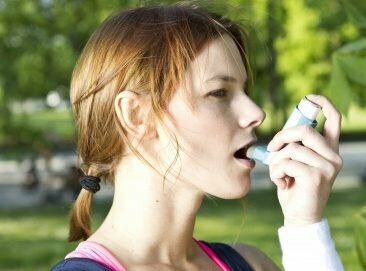 Asthma is considered as a chronic inflammatory disease. It affects the tubes that are responsible for carrying air in and out of the lungs. These tubes are also known as the airways. During an asthma flare-up the inside walls of the airways become swollen and inflamed. This makes them sensitive to things that are irritating or that you are allergic to. This causes symptoms including chest tightness, trouble breathing, coughing and other respiratory problems. The above mentioned symptoms are caused by a tightening of the muscles regulating the size of the bronchial tubes. However, what causes these muscles to tighten is not fully clear. Some of the known triggers include respiratory infections, heavy physical workouts, emotional problems like anxiety, allergies, and others. There are many long and short term medications that include Anticholinergics, Inhaled Croticosteroids, Beta Agonists, Leukotriene modifiers and others, however, many of them are known for having nasty side effects or to be generally ineffective. There are of course medications that really do a good job and that should always be at your disposal, so don’t rush throwing them away after reading this article! Although nature’s got some pretty good asthma medications of her own, you should always consult with your personal physician before deciding how to treat your asthma and what medications to keep around. Okay, with that said, I believe we are ready to move on. Recent studies have discovered that certain components contained only in ginger can interact with Beta Agonists (a medication used to relax the respiratory muscles and allow more air into the lungs during asthma flare-ups). This interaction makes it easier for them (the Beta Agonists) to restore your normal breathing by more effectively relaxing your respiratory system. According to the research the 3 compounds in ginger that complement the effect of Beta Agonists are 6-Gingerol, 8-Gingerol and 6-Shogaol. Out of the 3, 6-Shogaol turned out to be most effective in aiding the relaxation of the respiratory system. However, all 3 have been shown to have the property of suppressing an enzyme linked to asthma flare-ups. In-vitro studies suggest that this amazing spice might work great to prevent asthma flare ups thanks to the curcumin that it contains. According to the studies, this compound is capable of blocking the release of inflammatory chemicals (caused by allergies) in the white blood cells of asthma patients. Another asthma-related benefit of curcumin is that it has anti-inflammatory properties. Ginkgo biloba, which is yet another age-old asthma treatment, has leaves which contain a compound known as ginkgolides. This compound inhibits a chemical (platelet activating factor) that causes asthma and allergies. Trials show that orally ingested (not inhaled) ginkgolides largely reduce the asthma flare-ups caused by inhaled allergens, and partially reduce the flare-ups caused by physical exercising. The plant polyphenol rosmarinic acid (which is contained in rosemary) has strong anti-inflammatory and antioxidant properties. This is why this Mediterranean herb has been shown to alleviate asthma symptoms. Besides being an extremely strong antioxidant, rosmarinic acid also stimulates cells to produce prostacyclins, thus helping the airways remain open and promoting easy breathing. Garlic has been known for its wide range of health benefits for ages; however, recent studies show that it may also possess great benefits for those suffering from asthma. The way garlic helps is by inhibiting the activity of enzymes that are linked to inflammatory reactions. Moreover, just like rosemary, garlic can encourage the production of prostacyclins. It also contains a lot of Vitamin C, which is a nutrient proven to help prevent asthma. Ok, so onion is actually not an herb or a spice, but I just had to mention it. Asthma and bronchitis have been treated with onion for quite a long time. Its effectiveness has been known for hundreds of years; however, recent studies have fully discovered how it works. They show onion extracts work by blocking an enzyme known to produce inflammatory chemicals such as thromboxane A2. Furthermore, it inhibits flare-ups caused by allergies. Some of the major active ingredients in onion are thiosulfinates, isothiocyanates and quercetin. Our list of 6 amazing herbs and spices that help to prevent asthma flare-ups is complete (read more about Asthma Treatment Guidelines)! Give these natural treatments a chance and you may be pleasantly surprised at how effective they can be. Before we are done, I would just like to remind you (again) to always keep your inhalator close and don’t forget to consult with your personal physician before you begin any alternative treatment plan. BioVent is a natural, safe and proven remedy that is a unique combination of herbal and homeopathic ingredients to assist with the management of chronic asthma, support of bronchial and respiratory health for easy breathing, and the control and prevention of asthma attacks. Used daily, it can improve respiratory functioning and health, reduce the incidence and severity of asthma attacks and strengthen the immune system. May be combined with BronchoSoothe. BioVent was formulated by our team of experts in natural medicine and is pharmaceutically manufactured to the highest standards. Learn more about BioVent now. Stanimir Sotirov is the owner of Stan’s Health Blog. His ultimate goal is to be the healthiest, fittest and happiest version of himself, and in the process, help others achieve the same.